Spring has finally sprung around Colorado and it feels GREAT! 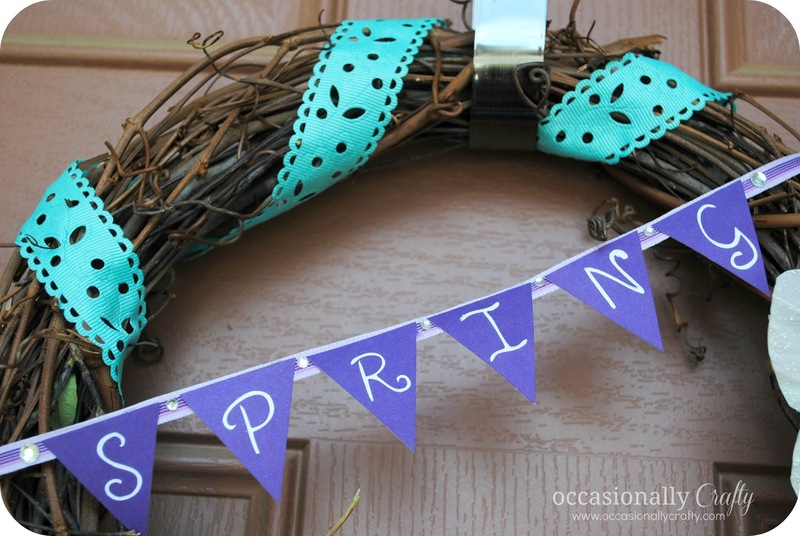 We've had a lot of snow throughout April and it was hard to be in the mood to decorate for Spring. 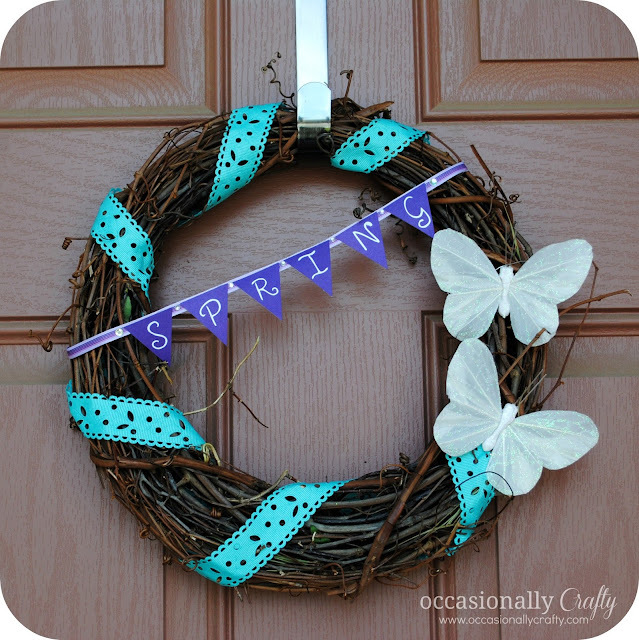 But with the warmer weather this week, the chirping of the birds and the nice breeze helped me complete my spring wreath! I bought a twig wreath from Walmart for a few bucks and embellished it with ribbon and a banner I cut out with paper using my Silhouette! After the ribbon and banner it needed a little touch of Spring, so I added some butterflies. Perfect! Last thing to add to my spring decor is my spring specimen art, so stay tuned!